Fly away from your problems with this fab airline wrap. And please take us with you, we can’t believe how many problems we have this early in the week. Qantas has today announced an extension of its global lounge improvement program. 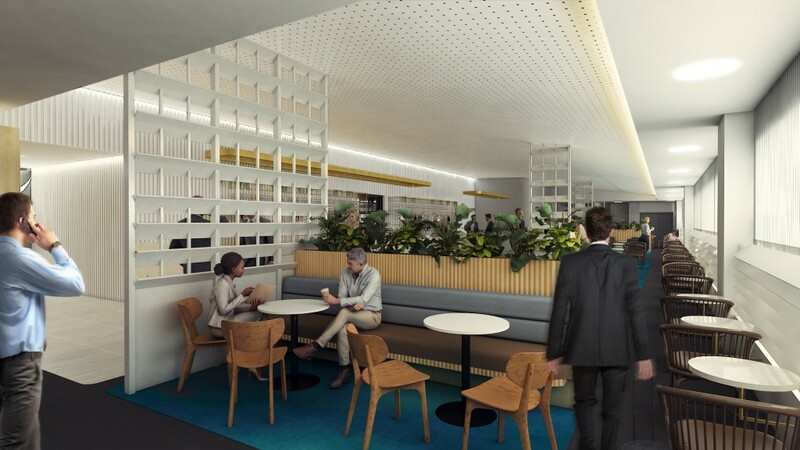 The multi-million dollar program will see the national carrier upgrade six lounges in Auckland, Brisbane, Hobart, Sydney, Tamworth and Tokyo. Hong Kong. Regional inspiration from New Zealand will be incorporated throughout. The Melbourne Qantas Club and Domestic Business Lounge are currently being redeveloped. The first phase of the redesigned Melbourne Domestic Business Lounge opens tomorrow, and once complete will feature a Spice Bar serving freshly made Asian street food. Both lounges will be completed by November this year. Qantas is also building a new Sydney International Business Lounge with 35 per cent more seating. GOL, Brazil’s largest airline, is introducing new self-service bag-drop technology to speed up the airport experience. Passengers of the carrier, can now use SITA’s Scan&Fly to check in their bags when flying domestically from Rio de Janeiro International Airport and will soon be able to do so at São Paulo–Guarulhos International Airport as well. This self-service option halves the time it takes to check in a bag and gives passengers more control over their journey. Each year, GOL flies around 32 million passengers. Providing significant reductions in the time it takes to check in is a major bonus for passengers, as well as helping GOL reach the targets set as part of the IATA Fast Travel program. SITA is retro-fitting Scan&Fly units at each airport. Using them, passengers will be able to check in their baggage in just 40 seconds. As well as the units themselves, SITA also provided consultancy to develop the optimized processes in both airports, integrating the solution into the airlines’ and airports’ infrastructures. Qatar Airways is delighted to announce its expanded collaboration with renowned Australian chef and restauranteur, George Calombaris, who will create a new edition of Greek-inspired in-flight dining options for the airline, starting 1 September 2018. This marks the second time Qatar Airways has partnered with Calombaris to present his signature dishes at 30,000 feet. In 2017, Qatar Airways and Calombaris jointly presented an exclusive in-flight menu to celebrate the introduction of the A380 service on the Melbourne-Doha routelast year. 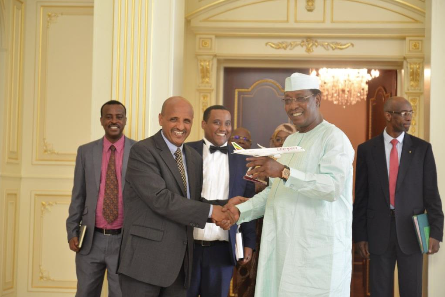 Ethiopian Airlines, the largest Aviation Group in Africa and SKYTRAX certified Four Star Global Airline, is pleased to announce that it has finalized agreements with the Government of Chad for the launch of Chadnational carrier. Ethiopian has 49 per cent stake in the joint venture while the Government of Chad retains 51 percent. The newChadnational carrier is planned to go intooperation as of October 1, 2018.